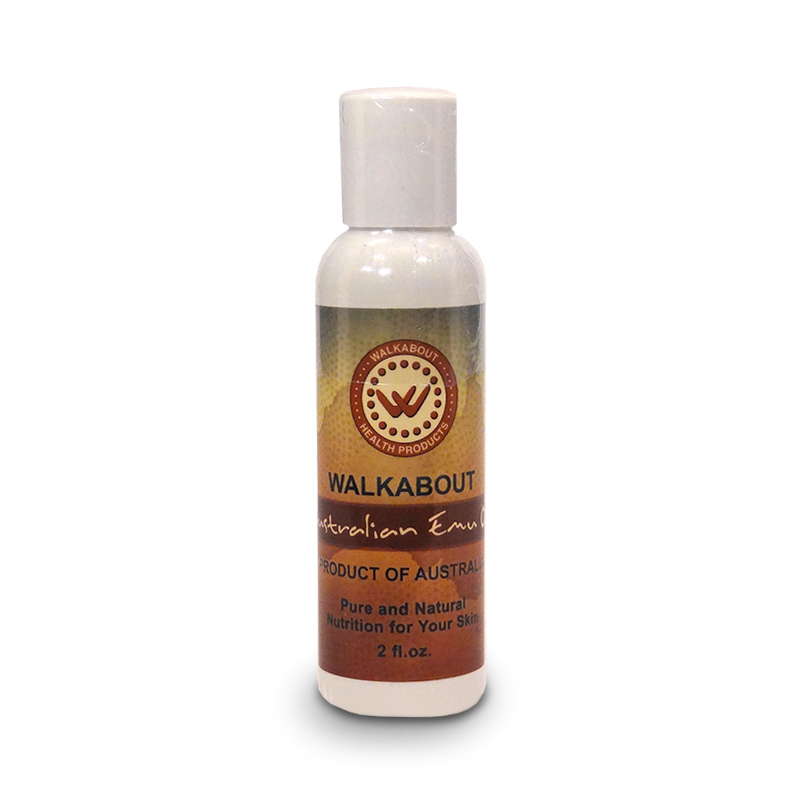 Walkabout Emu Oil liquid is anti-inflammatory, healing and moisturizing. Reduces bruising and swelling, helps prevent scarring, reduces aches and pains of sore muscles and joints. Natural pain relief for sore gums, minor burns, bug bites, acne, and more… Shake before use. Do not refrigerate. An excellent source of natural Vitamin K2, known for its role in managing calcium in the body. Apply a drop or two a day to babies’ gums, or on the breast. Or add 1 to 2 drops every day to a bite of food. K2 should be taken daily, forever. It plays many roles in calcium metabolism and health of arteries, bones, teeth and nerves. K2 enables Vitamins D and A to work, and can help children grown wider, stronger cheekbones that will hold all 32 adult teeth. Walkabout Emu Oil is much richer in Vitamin K2 (Dr. Weston Price’s “X Factor”) than butter oil. This oil comes from a genetically unique species of Emu, and is the only source of the natural MK-4 form of K2. 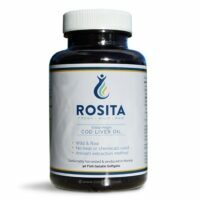 It provides significant amounts of Omega 3 and 9, especially in capsule form. These Emu are pasture-raised and totally organic. The oil has never been heated or processed. Walkabout Emu Oil is rich in the natural MK-4 form of K2 and EPA:DHA. This bottle contains 2 ounces liquid oil. Shake before use and use topically on pain, stiffness, burns and Psoriasis. Use orally to provide Vitamin K2 to those who don’t swallow pills. Children: 1/4 tsp. daily long-term. Increase dose when older to help form strong cheekbones and jaws. The capsule Emu Oil may be opened and contents added to food. Do not refrigerate the liquid oil so you can shake before each use. 1/4 tsp. = 1 capsule. 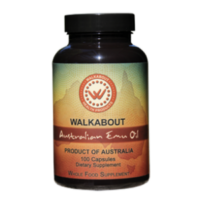 Australian Emu Oil – 1 gram per capsule providing Omega 3, 6 and 9 and approximately 4.2 mcg. Vitamin K2 as MK-4. In a gelatin and glycerol capsule or in liquid. Interesting Emu facts! Male emus sit on the nest for 7 weeks without leaving for food or water. It is this rich fat that feeds them during this time, similar to bears in hibernation. Emu Oil is a sacred Aboriginal food and was studied by Weston Price. It was considered one of their most prized foods. These emu are genetically unique from commercial emus raised for meat, feathers or oil for cosmetics. This oil contains tiny amounts of Vitamins D3 and E as well as CLA (Conjugated Linoleic Acid) and many natural anti-inflammatory elements. Dr. Price said that “Activator X” was a more powerful catalyst for nutrient absorption than A or D. It is highly anti-inflammatory. Here’s Emu Oil in capsules or paired with Rosita Cod Liver Oil. Here’s an article on Vitamin K2 for children. And a podcast on the many uses of K2. Here’s much more on using this fine oil topically for more than a dozen uses for skin, vaginal health and more. “I have a rare deformity called Sprengel’s Deformity which is an irregularly shaped scapula (shoulder blade). It did not drop down into the correct position while in utero, and instead, fused to my spinal column at my upper neck. As a result of this, I have seen orthopedic surgeons, neurologists, chiropractors, physical therapists my entire life, beginning at age five to relieve tightness and discomfort. I developed arthritis in both the shoulder blade and my spine when I was in high school. The biggest source of pain is the inflammation of the muscles surrounding this joint as they are always inflamed and swollen due to the deformity. My x-rays include white/grey “clouds”, which are the muscles blocking the clean lines of the the spinal column and shoulder blade. I applied the emu oil to my upper spine and shoulder area and within a couple of minutes felt significant relief from the “burning” muscles, always feeling like they are on fire. I COULDN’T BELIEVE THE RELIEF! I only used a very small amount, and rubbed the oil in so that it was completely absorbed. I have lived my entire life with this struggle, and have now found a viable solution to relieve a chronic inflammatory source of pain. This oil is more effective than any product sold in the store—and I have tried ALL of them !!! I would highly recommend this product for anybody who suffers from inflammation of either muscles and or joints. It truly offers freedom from the pain!